$100 Mail-in Rebate w/ Purchase See More. The remote can open and close the tonneau cover with the push of a button. Most applications have a No-Drill installation with simple clamps and rails. Built in electromagnetic brake can lock the Bedlocker at any position along the rails. Water that makes its' way into the canister is emptied through a drainage tube on the bottom. Rigid aluminum panels are powder-coated black for a durable, long lasting finish. 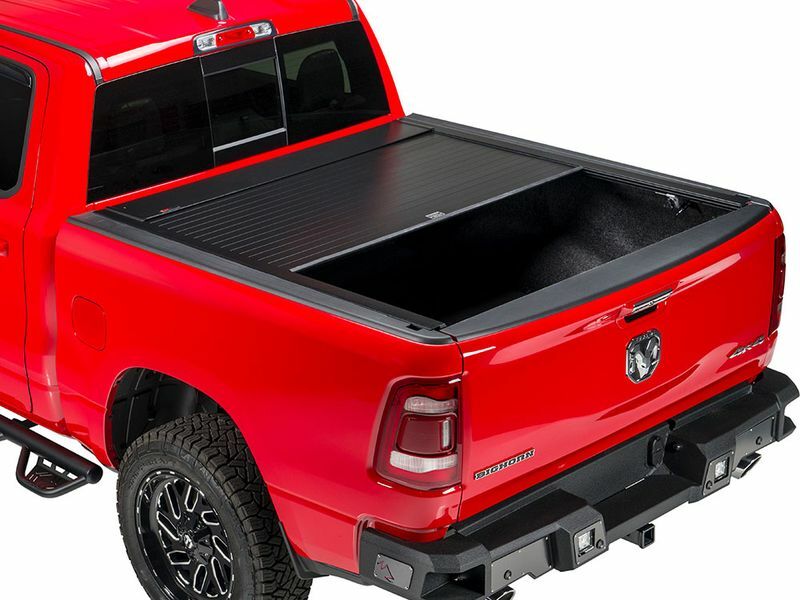 In the event of power loss to your tonneau, the Bedlocker is equipped with a release handle for manual operation.